Possibly the least known of the unique sapphire colors, green sapphires are a quiet stunner with a range of hues to meet every desired look. 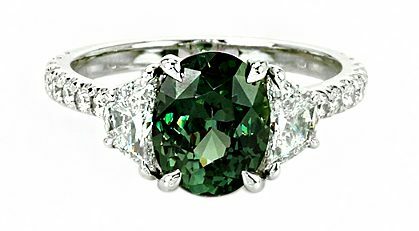 A cushion cut green sapphire from Montana. 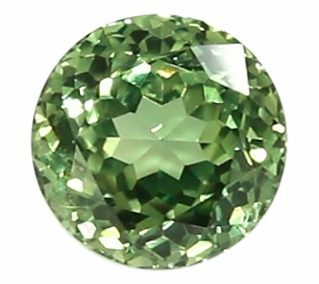 In their natural state, green colored sapphires range from light yellow-green, to medium yellowish-green (“olive” or “leaf” green). 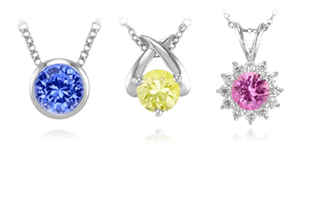 These stones have significant secondary colors mixed in, such as yellow and blue that help achieve a wide variance of green hues . 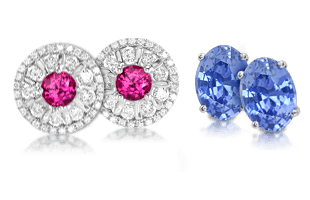 Green is a rare color for a sapphire. 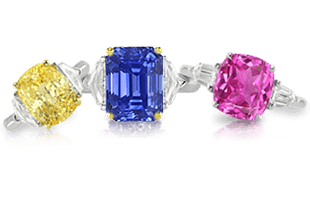 Supplies may be limited, but green sapphire is virtually unknown to the public, so demand has not driven prices to the same heights as pink or yellow sapphires. However, they are every bit as gorgeous with lovely light reflection. A vivid green oval sapphire set with side diamonds and a pave diamond band. Color saturation does not play much of a role in the pricing of these stones, as so many shades of green sapphires are appealing. They are far more brilliant than emerald, and much harder and more durable than either peridot or tourmaline. In comparison to these other green hued gemstones, green sapphires can be truly stunning in any form. 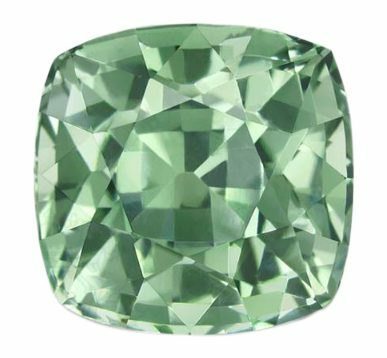 A beautiful brilliant round cut green sapphire. Green sapphire is uncommon, but it is also comparatively inexpensive, so fine stones are expected to be eye-clean . Lighter colored yellowish green sapphires show inclusions very easily, so clarity in these stones is especially important, and should be considered above all other considerations for these stones. 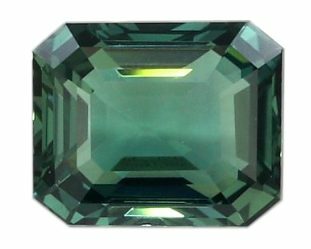 An emerald cut deep green sapphire. Normally, the lighter and brighter green sapphires are more valued, as they show better light and color reflection over darker, more intense green sapphires, but all hues can be found in a variety of sizes. 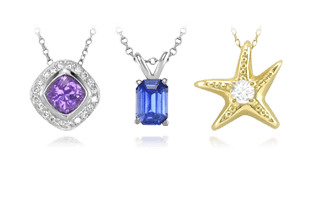 These gemstones are generally found in Sri Lanka, Tanzania, Australia, Madagascar, and the famous Yogo Mines of Montana. Continuing our discovery of green sapphires, next we explore Bluish-Green & Greenish-Blue Sapphires.